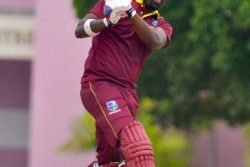 BRIDGETOWN, Barbados, CMC – West Indies suffered their second straight warm-up loss in preparation for next week’s start of the Tri-Nations Series, when they went down to a Barbados Select XI by four wickets here yesterday. Left-hander Darren Bravo … got a start but failed to carry on. Similar to Wednesday’s first game, their batting struggled again and they could only muster 200 for nine from their 45 overs at 3Ws Oval of the UWI Cave Hill Campus. Several batsmen got starts but failed to carry on as left-hander Jonathan Carter top-scored with 36, Marlon Samuels got 33 and opener Andre Fletcher, 31. New-ball bowler Kyle Mayers led the Select XI with four for 47 from eight overs. In reply, rookie Aaron Jones stroked an enterprising top score of 49 while Test batsman Shai Hope followed up his half-century in the first game with 48, as the Select XI eased to victory in the 43rd over. 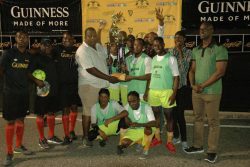 The two warm-up games formed part of the preparation camp for the June 3-26 tournament which also involves World champions, Australia, and South Africa. And head coach Phil Simmons would have been disappointed to see his leading batsmen getting starts but failing to convert. Johnson Charles struck two boundaries in the opening over before he was bowled by Mayers off the final ball for ten, paving the way for a 49-run, second wicket stand between Fletcher and Darren Bravo (21). Both fell in the space of 28 balls with eight runs added at 68 for three before Carter anchored two key stands to steady the innings. He put on 50 for the fourth wicket with Samuels who struck a four and a six off 51 balls and a further 41 for the fifth wicket with Denesh Ramdin whose 27 required 22 balls. Sulieman Benn came at the end to belt three sixes in an unbeaten 18-ball 22. Hope then gave the Select XI a solid start, putting on 49 for the first wicket with left-hander Omar Phillips (17) and 48 with Kyle Corbin who made 31 from 44 deliveries. 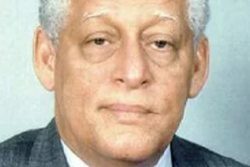 When the right-handed Hope perished via the run out route courtesy Bravo’s direct hit in the 26th over, the Select XI were 110 for three but Jones and Mayers erased any doubt about the outcome with an 80-run, fourth wicket stand. 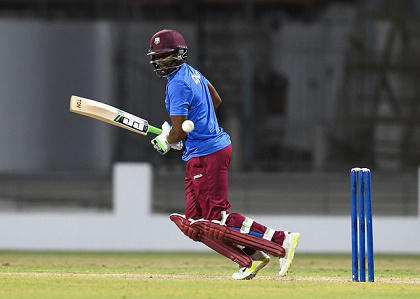 Jones, a 21-year-old who played four games for Combined Campuses and Colleges during this year’s Regional Super50, faced 63 balls and struck a four and a six while Mayers hammered two fours and two sixes in a 37-ball knock. Guest player, left-arm spinner Kristopher Ramsaran, was the best bowler with three for 43.